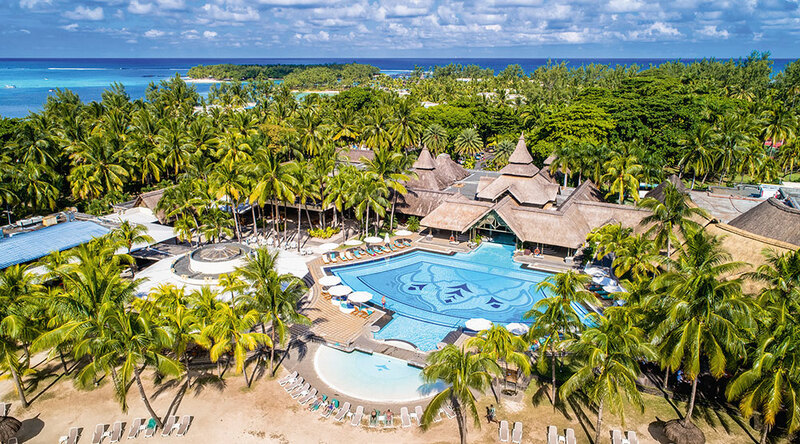 Shandrani Resort & Spa is the ideal 5 Star property if you are looking for the best swimming, snorkeling, and diving on the island of Mauritius. The resort lays claim to its very own peninsula, resulting in a total of 3 beaches surrounding the property. One beach is a “wild” beach that has waves, while the other two are protected by a network of coral reefs, creating calm and crystal clear waters. This also means that you will almost never be disturbed by the wind because if the wind blows on one beach, you can move to one of the others. Fully inclusive: all meals, drinks, and sports are included in the daily rate. Shandrani gives the guest a wide range of accommodation options with 327 rooms to choose from, all of which either have a terrace or balcony. A unique feature about the resort is that they offer a Serenity Plus fully inclusive package, which means all meals, snacks, and drinks are included, as well as a variety of sports, even golf. A short hole 9- hole golf course runs along the beach, and guests have free access to it. Shandrani has also made a point of including every guest in their Spa: Adults staying at the resort for four nights or more will receive a complimentary 45-minute massage each. The spa is set in a tropical garden where expert therapists are on hand to provide a range of treatments. Shandrani has five restaurants to choose from, and each of them is included in the Serenity Plus package. Guest have the freedom to enjoy fine dining at any of these restaurants without having to worry about the bill at the end of their holiday. The resort has even gone one step further by offering French champagne from 6 PM. Porto Vecchio restaurant specialize in Italian and Mediterranean cuisine, while Le Boucanier focuses on seafood and has an adult only policy. Le Sirius is has a relaxed atmosphere and serves mostly light meals and snacks. Teak Elephant is a Thai restaurant and welcomes guests who are 12 years old and older.